A shredding service is not just for accounting firms—it’s a priority for all industries and businesses interested in protecting themselves from the increased risks of identity theft. New privacy legislation requires all companies to take reasonable measures to protect and safeguard all information deemed confidential—financial, medical, legal and proprietary documents. They all must be destroyed in a responsible manner to ensure that privacy is protected. 4. The number of the vehicle that shipped the load to premises for destruction. The above information is noted and documented in a letter including the following: “This letter certifies that your shipment has been received at our plant and all acceptable materials will be destroyed through our recycling process.” A security seal is then attached to the shipping papers, and the seal number is noted. 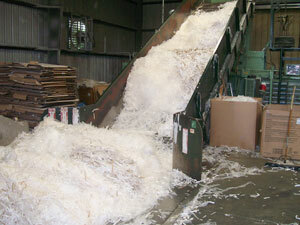 Carolina Fibre works with Confidential Shredding to ensure that all of its clients—large and small—are aware of how important it is to properly and legally destroy sensitive material. If you’re interested in learning more about Carolina Fibre’s confidential shredding services, please contact Carolina Fibre professional today.